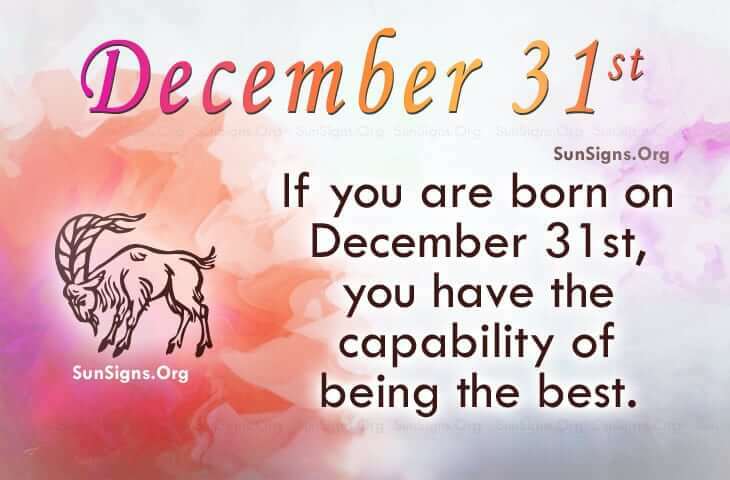 Famous people born on DECEMBER 31 are Capricorn who have the capability of being great. As a leader, they may have traveled to many places and seen a lot of things. Seeing the world means more to them than just site seeing. It provides them with a world of knowledge and can give them a new perception on life. As they have a lot to offer, people want to spend time and converse with them. So naturally, they’re invited to all the parties and events. They know how to make people think, laugh and to make their businesses grow. When it comes to love and friendships, famous celebrities born on December 31 may have a wide range of relationships. It’s not easy at first to let people into their heart, but once they have gained their trust, they typically are in it for the long haul. Needless to say, they are reliable, generous and caring. Famous people born on DECEMBER 31st have this youthful attitude. But underneath those smiles, they are a serious person. They work very hard and their achievements are a reflection of their dedication. As a lover, they’re likely to be conventional Capricorn. They like to date and become friends first.